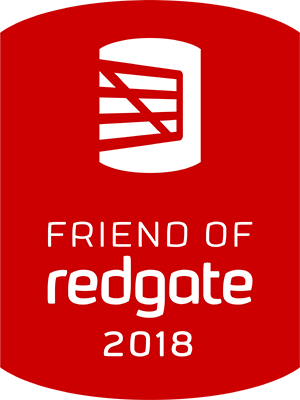 One of the really super cool things about the SQL community is the frequent opportunity one could have to get involved. One of my favorite methods of getting involved is the varied ways to participate on a book project. To be involved in a book project does not require that one be an author. One can be a contributor, technical editor, technical consultant, author, or even provide technical reviews after the book is ready for publication. Each method does come with some sort of invite from either the principle author or the publisher. I have had a number of various opportunities to be involved with a book. As one ages, it becomes a little more difficult to remember all of the contributions so I just wanted to bring it all together in a single place to help me remember. 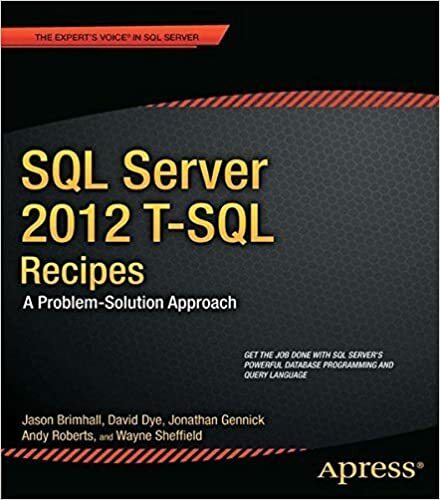 SQL Server 2012 T-SQL Recipes. This book came out in 2012 and I had a few people helping me with this first book. I enjoyed this experience even with the difficulties of learning the whole publication process and just getting through the massive job that it was. DBA Jumpstart. This was a community effort headed up by John Sansom in 2013. You can check out my contribution here. 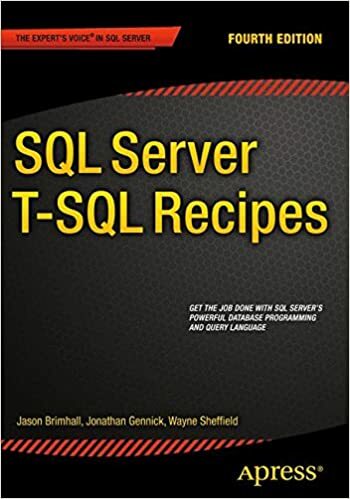 SQL Server T-SQL Recipes. This book was released for SQL Server 2014 in 2015. Yeah it came a little late and that is because we had a bit of a late start. This was a follow up edition of the recipes book, only this time with a much smaller bunch of authors. Healthy SQL. This book was released in 2015. I helped Robert get it started and helped him get it across the finish line. This kind of effort included discussions about topics, scripts, and technical edits. If not for time, I was supposed to do a chapter or two and just got too busy to help as an author. SQL Server 2012 Data Integration Recipes. I came fresh off the writing of the T-SQL recipes book in 2012 to immediately plunge into tech editing this book. Tech editor is a pretty good way to get involved because you are immersed in the publication process and you get to validate the content before printing. This is kind of a weird category. Each of the books here has a section from me. So in a sense it is kind of like a small author contribution. Data Professionals at Work. This book was released in 2018 and is a compilation from several Microsoft MVPs about their personal experiences. I wrote a review about the book here. How to be an MVP in Life. This book was also published in 2018. This book is another group of MVPs from tech and sport discussing various qualities of an MVP. You can read more of what I said about the book here. This type of participation comes after publication when a publisher asks for your assistance with a technical review. SQL Server Transaction Log Management. This book came out in 2013 and was a project by a close friend – Gail Shaw. I do recommend this book to anybody who is working on SQL Server. You can read my review here. Defensive Database Programming. My first experience with publishers and books came back in 2010 when I was asked to review this book. There are ten articles in the series – starting with chapter 10 here.